Having floor to ceiling bi-fold doors is a great way to open up your room and let in the maximum amount of light. This, however is only the case if they are clean and you can actually see out of them! There is no two ways about it… cleaning windows and doors is boring (and not to mention infuriating)! Just as you think one side is clean and sparkling, you then start on the other side, only to find that you left smears on the first side… Aaaaargh! It can be irritating, but there is no denying the benefit you get from having crystal clear views. Here are a few tips to take the backache out of cleaning your bi-fold doors and windows. 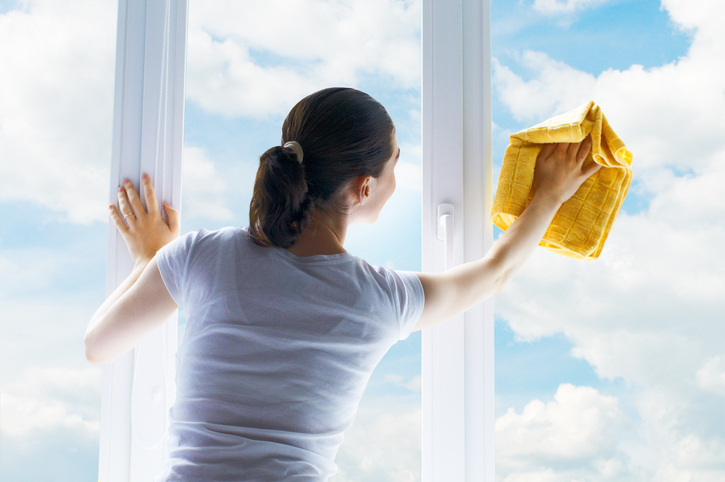 There are many old wives tales advising us how to clean windows, and most involve vinegar and elbow grease. Whilst a 50/50 solution of water and vinegar can be an effective cleaning solution, it will leave behind a vinegary smell for a while, so it isn’t the answer for everyone. Soap and water also proves to be a popular option, however, go easy on the suds as they can leave behind a streaky residue if you’re not careful. Regardless on what cleaning product you use, whether it’s a shop bought spray or a homemade solution, the most important thing to get streak free windows is to use the right tools to apply it. Many of us make the mistake of using kitchen towels, however, they will leave linty streaks on the glass if you aren’t careful. Microfiber cloths and squeegees are great for a streak free finish, but the best option goes back to the old wives tales again, scrunched up paper! When cleaning the glass, ensure where possible that the solution doesn’t run onto the frames too much. Also, don’t forget to remove all jewellery rings and watches as they can easily leave scratches on the glass. In the majority of cases, cleaning the frames of your bi-fold doors will not require more than a quick wipe with a non-abrasive cloth or sponge soaked in warm water and a mild detergent. 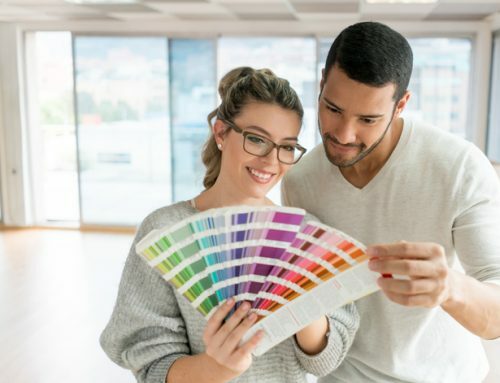 Resist the temptation to use any type of heavy-duty household cleaner as you could cause damage to the frames or powder coat finish. Parafin based cleaning solutions and non-abrasive liquid cream cleaners are generally fine for shifting more stubborn stains but seek advice from your supplier first. If there are any stubborn stains that won’t shift with washing, try using an ink rubber to lift the mark. You will know immediately if is going to work, so don’t keep scrubbing away if you can’t see an initial change. It is important that you ensure that the tracks at the bottom of the doors are clean and free from large stones and debris. Any large objects can impede the smooth running of the doors and potentially cause damage. The most effective way to clean the tracks is to use a vacuum cleaner nozzle. Run it along the tracks to remove any debris that has collected inside. With some doors, is it advised that you lubricate the tracks and mechanisms with a silicon spray. Focus on the area where the wheel and guide disks connect with the tracks to ensure smooth running. Again, check with your supplier to make sure that this is appropriate for your specific model of doors and take advice on what product they would recommend. Applying a small amount of light lubricating oil to the lock and key will ensure that the locking mechanism is dust free and not prone to sticking. Lightly oil both the lock and key and then insert and remove the key a few times to ensure easy operation.